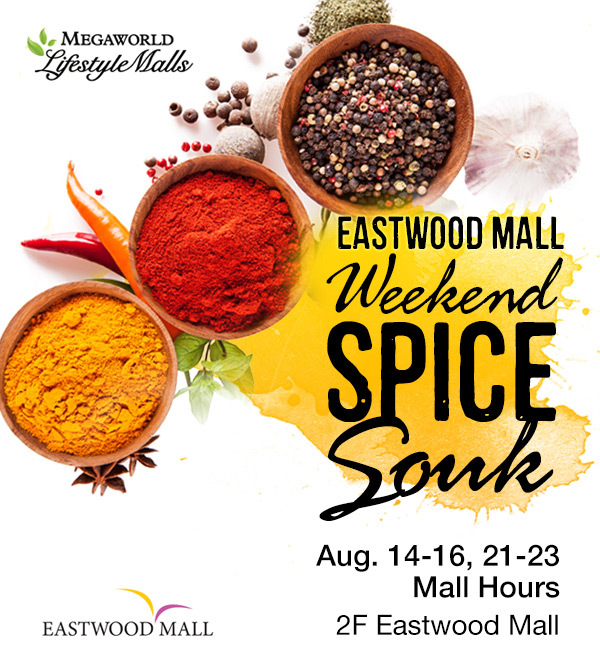 Spice up your weekend and visit Megaworld's Eastwood Mall Weekend Spice Souk happening on August 21-23 (Friday-Sunday). The weekend food fair aims to highlight various herbs and spices both from local and international markets. I was able to drop by during the first leg of the food fair last August 14-16 at the second level of Eastwood Mall. Several concessionaires showcased different products such as potted herbs from Casanova Garden, chili coffee from KKK Coffee, artisan and herb-flavored ice cream from Buccino's Ice Cream and Papa Diddi's, home-made vinegar from Lola Consuelo's Heirloom Recipes, and more! Of course, food booths selling meaty sandwiches and tacos were also present to satisfy hungry mall goers. There's Panino Porcetta from Il Ponticello, Mexican tacos and El Chupacabra from Hijo D' Pita, Chili dishes and nachos at Chili Pod, and Angus Beef from the Beef Barn. You may still catch the second leg of Eastwood Mall Weekend Spice Souk this coming weekend August 21-23, 2015 (Friday-Sunday) at the second level of Eastwood Mall. The Eastwood Weekend Spice Souk kickstarts the series of food events happening in Eastwood as part of Eastwood City's Food Artistry Campaign, which aims to encourage foodies and hopeful chefs in creating their own art on a plate.